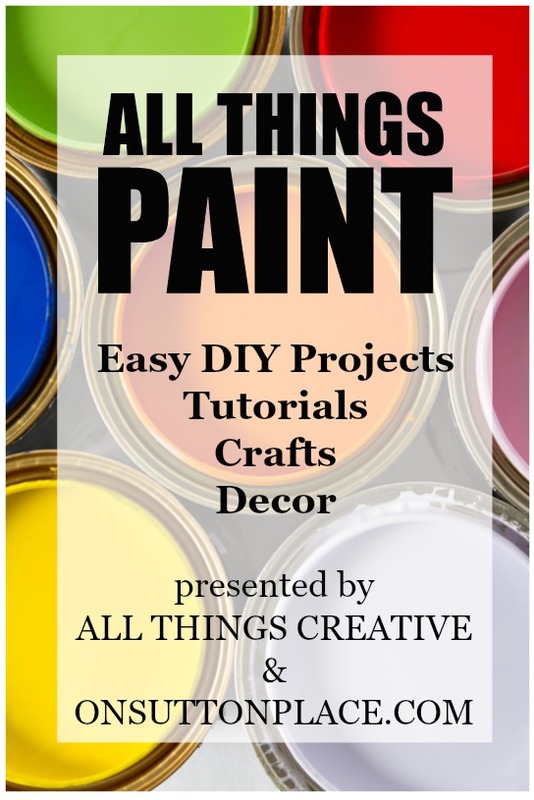 My entire All Things Creative team is so excited to be bringing you our first ever All Things Paint (DIY Paint Projects) along with an awesome giveaway. We are partnering with RECLAIM Beyond Paint and giving away ten quarts of their paint to ten different winners. (The Rafflecopter to enter is below followed by all of our paint project links.) This paint requires NO sanding, stripping or priming. Here is the “before” picture of my project that I completed with the color Butter Cream. Pretty cute huh? I did two coats and used an inexpensive chip brush that I could throw away when I was finished. I’m not much of a painter so I was thrilled with the way it turned out. This paint makes any skill level look good! One of the best things about this paint is that it should be available locally. To find a retailer near you click HERE. RECLAIM Beyond Paint is giving away 10 quarts of paint. Winners must supply their own soft fabric roller and tray. Please enter the giveaway in the Rafflecopter below. If each winner has visited the RECLAIM Beyond Paint Facebook Page they are eligible to win an instructional video that will be included with the paint. Visit the RECLAIM Beyond Paint blog for more information and project ideas. Giveaway will run until Midnight EST on Tuesday, May 5th. Open to U.S. Citizens only. I was compensated by RECLAIM for this post but as always, all opinions are my own. How exciting Ann! 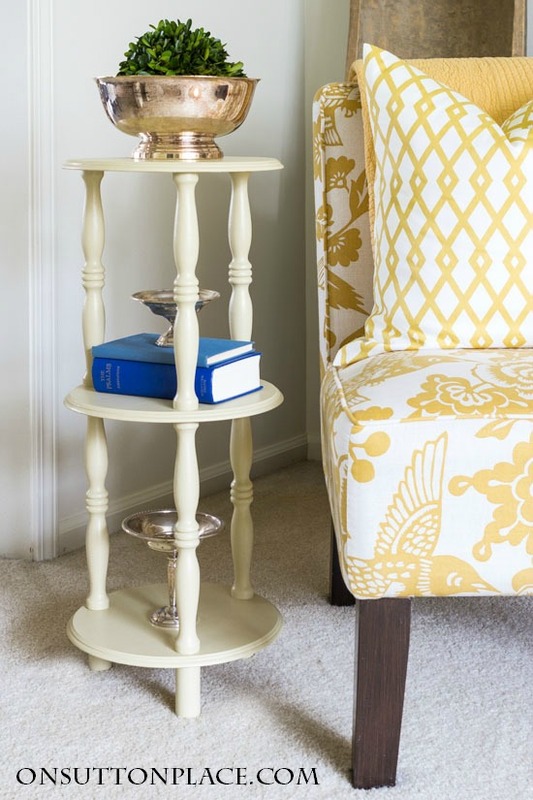 Love your little thrift store table makeover:) I would love to try this paint! Is the link party still on? Having a little trouble linking on. Love to paint furniture …would love to try the paint. Thanks for the chance to try this paint. The possibilities seem endless. I think paint that costs $130.00 a gallon is way too pricey to be “cost effective.” Wow! 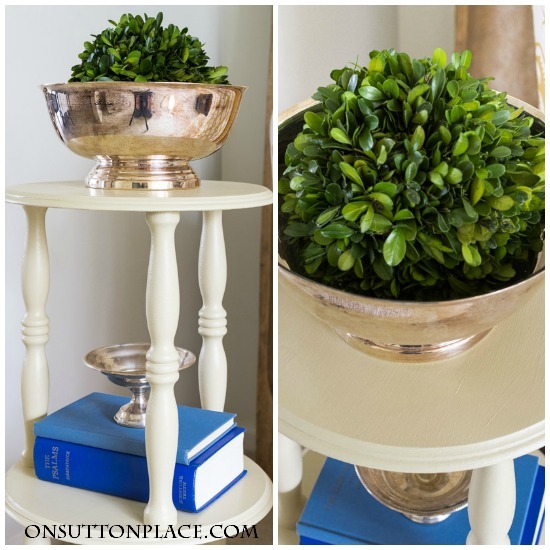 Oh Ann that color is dreamy… your cute plant stand turned out great! I love making old things new again. Now, if I could just figure out how to do the same for myself! I have a couple of antique cabinets I need to paint and this paint sounds perfect. I love the way your little plant stand turned out and that color is gorgeous. This is great….NO sanding! I am IN. I am one that really likes to paint and this is a great opportunity to paint more. The plant stand was a great find, but the transition was even better. I am looking forward to viewing all of the great project that you and your team have done. Oh, how cute your plant stand turned out! That color looks just perfect in your home! I’ve seen some of those plant stands at the auction and now you’ve inspired me to paint some! That color looks terrific in your place, and I love that you transformed a GW piece. Love the color…love the makeover!! You styled it so pretty too Ann! 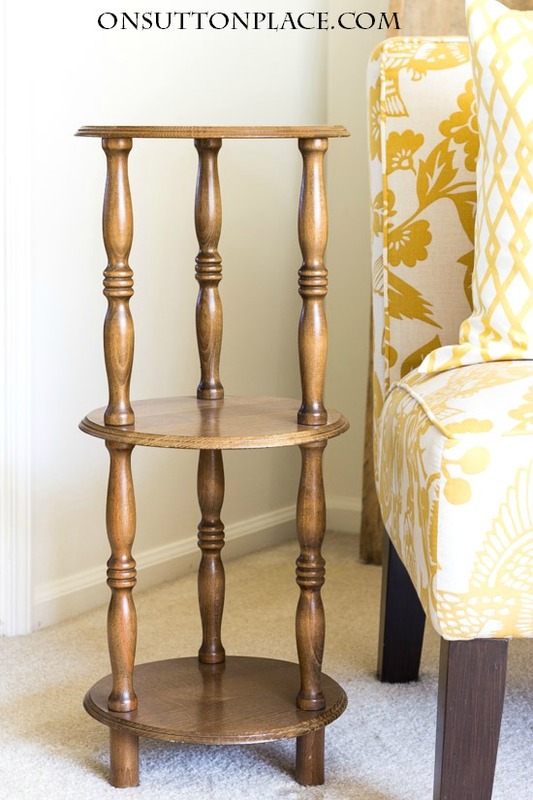 What a great little side table Ann! Love the paint color and job you did.